Business cards work. It is that simple! 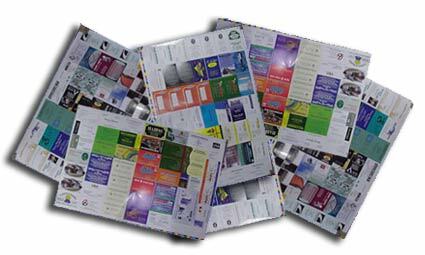 Business cards are one of the most affordable ways to advertise your business. There is no doubt that a quality card, is among the best value for money investment you will make in your business! A quality corporate card is so important to your image. A lot of the time it is the only thing that is left behind once you have had a customer contact and becomes a big part of the memory of you. Warning! Make sure you’re comparing apples with apples. We offset print using the highest quality, boards to ensure that your card has a crisper printing and a longer life. We challenge you to find a better deal in New Zealand! With the latest Heidelburg technology, its simple. Our printing is done bulk (on sheets as below). Customers just keep coming back . This allows us to deliver you a fantastic quality product at a great price. Our top seller is printed on a 350 gsm cast coated board (Gloss front and gloss black back) which creates a more durable product for a longer life. Printing is done on sheets like above. Then Guillotined to size. This saves you money! 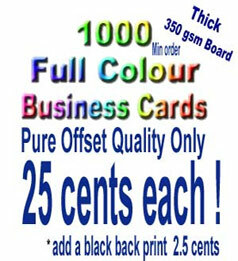 We have a 1000 full color cards starting at a fantastic price, with the quality to boot. Submitted your art work to us after you order at any time. Printing is done every 7-12 days. For information on the file format we accepted click here. Ordering instructions please click here. Our sizing is the standard 55mm X 90mm this is the size for most holders and folders. So don’t delay order today, it is so simple with our online order form. We are 100% certain you will be happy with your new cards. Join the thousands of customers who have never looked back after purchasing our products. Make the choice that will benefit you the most. Earth First the experts choice.